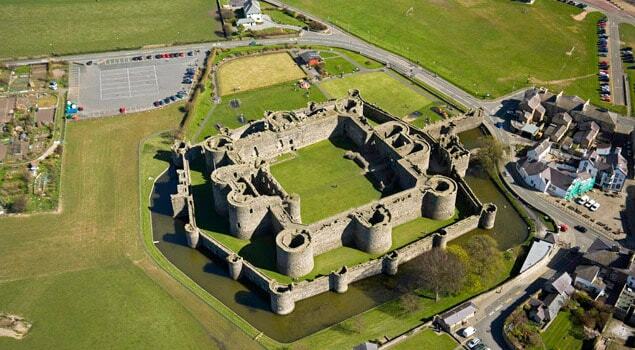 Beaumaris Castle was built as part of Edward I's campaign to conquer the north of Wales after 1282. Historian Arnold Taylor described Beaumaris Castle as Britain's "most perfect example of symmetrical concentric planning". The fortification is built of local stone, with a moated outer ward guarded by twelve towers and two gatehouses, overlooked by an inner ward with two large, D-shaped gatehouses and six massive towers.